D&B would not be the same without Drumsound & Bassline Smith (aka Andy Wright, Benjamin Wiggett and Simon Bassline Smith). Together the trio have body-slammed dancefloors from Derby to Durban and entrenched themselves as three of the finest drum’n’bass tastemakers on the planet courtesy of the blue chip label Technique Recordings – an imprint that celebrated 10 years of killer dancefloor joints in 2009. The magic has been bubbling ever since Wright and Wiggett met Bassline Smith at one of Derby’s mentalist Technique club nights in the summer of 1998. The Drumsound pair had been crafting beats for a year, having originally started as a crew of six artists, while Bassline Smith had carved out a reputation as one of D&B’s most influential players, with a career stretching back to the early ‘80s. As Drumsound & Bassline Smith they’ve enjoyed a firestarting musical synergy that’s played a pivotal role in taking drum’n’bass to the next level and carved out a patented ‘Technique sound’ in the process. In 1998 they were asked to complete a CD of samples for the respected Loopmasters Series laying testament to their original approach to beat construction. From the music industry’s finest tastemakers, to the die-hard junglists populating clubs and festivals each weekend, one thing rings out loud and clear; no one can get enough of Drumsound & Bassline Smith’s floor-burning sound. In 2004 their ‘Odyssey’ banger was judged Mixmag’s 10th best all-round dance anthem of the year and hit no.1 on the UK charts. The trio have also issued a string of stormers on the most respected imprints in D&B, dropping cuts on LTJ Bukem’s Good Looking Records, Bryan G’s V Recordings and Grooverider’s seminal Prototype Records. 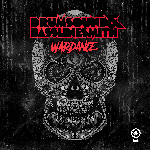 Drumsound & Bassline Smith are also in hot demand from the most respected heads at Radio One and 1Xtra and enjoy regular flogging on the airwaves from Fabio & Grooverider, Zane Lowe, Mista Jam, Annie Nightingale and Annie Mac. The trio are aone of the few set of artists to complete multiple mixes for the famed Radio One, with a whisper of a request to complete a coveted Essential Mix in 2010. “We love them and have been supporting them since day one,” Mac tells. As their popularity begins to steamroll, so do the requests. Drumsound & Smith have issued re-rubs of VV Brown’s ‘Leave’ at the request of Warner/Universal and Fugative – Supafly (Drumsound & Bassline Smith Remix) for Ministry of Sound. Radio One’s Annie Mac also personally requested the crew complete a remix of Chipmunk’s no.1 anthem ‘Oopsy Daisy’ for her Mash Hitz segment. They also achieved an unlikely feat when they made the Eastenders theme dope, completing a re-rub for the E20 Music Competition set up by the BBC. No surprise that demand has seen the guys independently tour all corners of the globe setting the standard across America online, Canada, Australia, France, Italy, Germany, Russia, Iceland, Spain, Holland, Sweden, Ireland, Czech Republic, Brazil, Poland, Switzerland, Uruguay, Norway and Italy. Further to this, they’ve represented at UK parties Fabric Live, Tranz-mission, Detonate, Slamming Vinyl, One Nation and Movement. In 2009, Drumsound & Bassline Smith reached a milestone when their Technique Recordings imprint hit its 10 year anniversary of releases. With a philosophy firmly focussed on issuing tunes to satisfy the next generation of music lovers, the label celebrated its birthday with the critically acclaimed ’10 Years Of Technique’ LP which included the hits ‘Can You Feel It’ Clap Your Hands’ and ‘Law Of The Jungle’ and reached no.1 on the BBC Radio One and 1xtra charts at the end of November 2009. With unstoppable momentum, the next 12 months are set to be massive for Drumsound & Bassline Smith. Always looking to evolve their sound, the trio will begin a new album project that will incorporate dubstep and electro influences, along with their trademark D&B sound. And those craving a blazing dancefloor experience shouldn’t go wanting either, with the trio’s busy touring schedule set to see them zigzag across the planet. 2012 With the likes of Example, DJ Fresh, Wolfgang Gartner, Laidback Luke and Yasmin on the roster of Ministry of Sound, they have the biggest line-up of dance artists in the world, and with Utah Saints vs Drumsound & Bassline Smith’s ‘What Can You Do For Me’ they’ve got the soundtrack to kick start 2011. Look out of this release which hits the stores 26th Feb 2012.